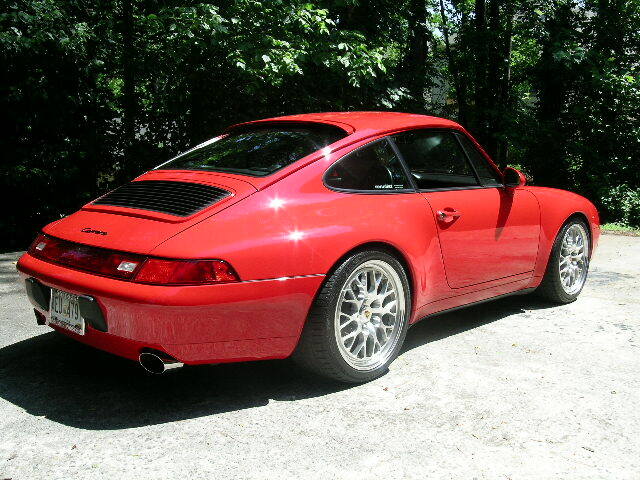 A buddy of mine has a beautiful set of Speedline rims for sale -- identical in appearance to the 993RS rims (these are not Speedline Aliseo's). They are size 8.5&10X18" with offsets of 50mm and 47mm, respectively. With a 47mm offset, the rear rims would stick out almost 3/4" farther than a stock NB 993 10" rear rim, which has an offset of 65mm. He's offering me a great deal on his wheels and I would really like to have them for my car. Does anyone have any personal experience in making ET47 10" wheels fit on a narrow-body 993? I've so far heard two knowledgeable people say both that they absolutely will not fit, and that they just barely fit. Thanks in advance. Maybe a picture or two will help...these are 18x10 ET63.5 on a narrow body. Noah, you have a PM. 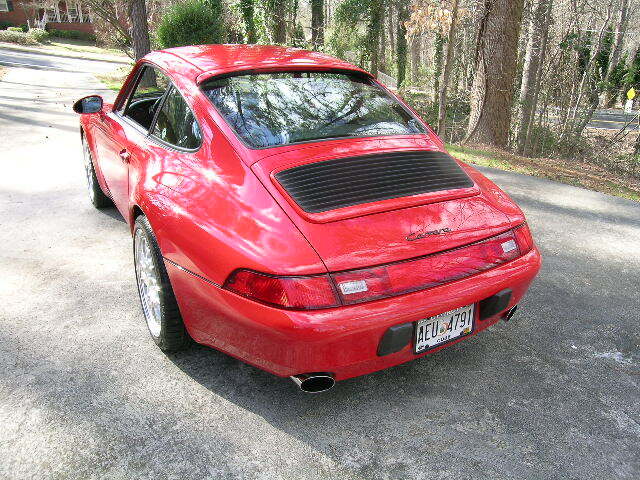 ET56 is as low as you want to go on a n/b 993 10" rear, even that gets real tight when the car is slammed.